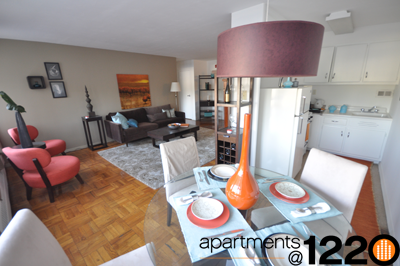 Located blocks from Temple University’s Main Campus, the Apartments@1220 North Broad offer an updated living experience with the convenience and amenities that exceed expectations. 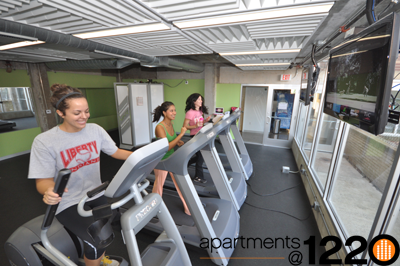 From round the clock lobby and staff to a state of the art fitness center Apartments@1220 has endless amenities that include a media lounge, a ping pong table, study areas, and a landscaped terrace. 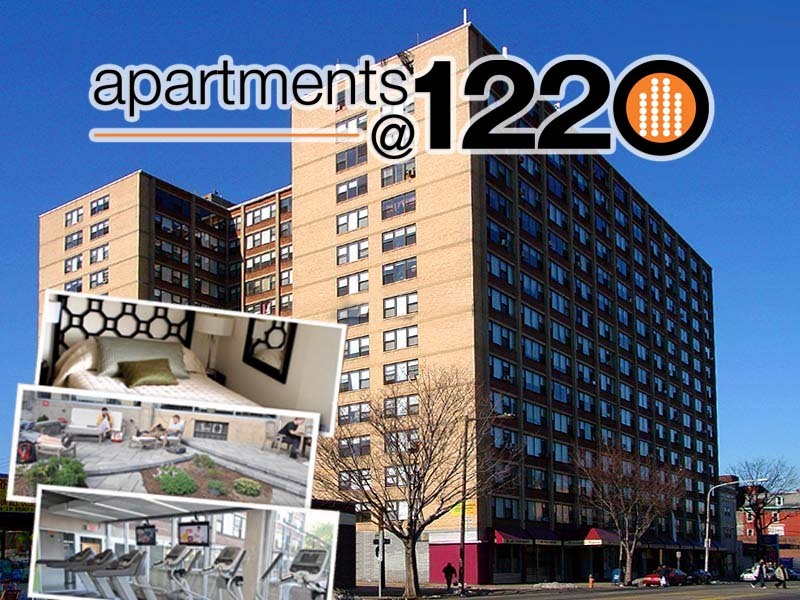 Whether you are looking to live by yourself in a studio, a one bedroom, or a one bedroom plus den or with a friend in a two bedroom or two bedroom jr Apartments@1220 offers both furnished and unfurnished apartments. 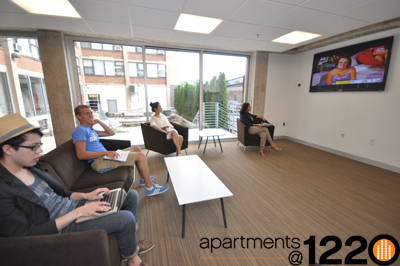 Take a virtual tour of our facilities and see pictures of our common areas, fitness center, vending area, conference room, ping pong room, laundry room, courtyard and furnished apartments.